Jonnie Merl Knighton, affectionately known as "Nana" was born in Ruston, Louisiana on November 19, 1936, to her parents, Henry]efferson AIIen and Doris Jackon. She was the eldest of three children. Jonnie relocated with her family from Ruston, Louisiana to Oakland, California where she received her education within the Oakland Unified School District. Nana was a very hard-working woman. She worked several years at the Canneries in Oakland, California. Thereafter, she made a career as an LSM Operator for the United States Postal service for over 20 years until her retirement. Nana's presence exuded love and a ray of sunshine! She never met a stranger She Ioved the Lord and let everyone know how faithful God had been to her through all of the ups and downs. Her loving way and contagious personality lifted everyone's spirit, especially when coupled with her infectious smile. She loved to bake cookies, cakes and pies, cook soul food and celebrate good times with family and friends. She was a fashionista who always dressed to impress from head to toe. 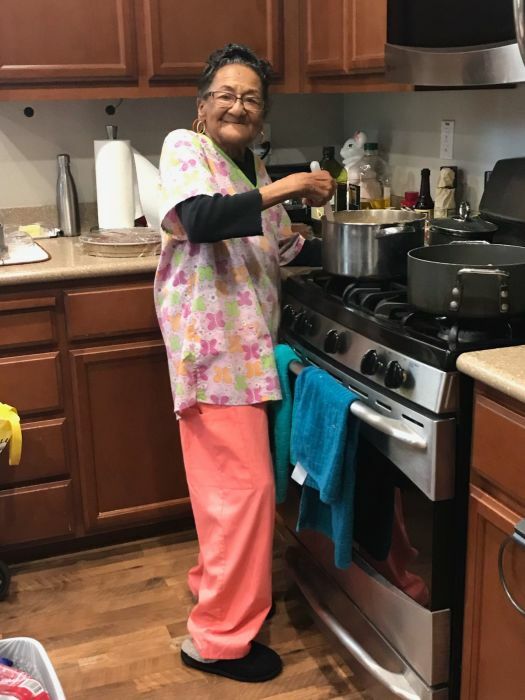 Cooking was not only Nana's passion, it was her gift. On any given day, she was known to whip up dozens of cookies, pies, and cakes for no reason at all. Relatives, friends, and neighbors would hang out at her house devouring all the deliciousness that she made. Music was another passion of hers. Nana had a voice that touched whoever was in her presence. She loved to express it through song. She even formed her own gospel group traveling around Oklahoma praising God. In recent years, she became a disc jockey at the active senior community where she lived. She loved listening to Pandora on her iPad. Even at 82 years old, she could keep up with the techie millennials. She had a music and video collection like no other with 33s, 45s, 78s, reel to reel, 8 track tapes, cassettes, VHS, CDs, and DVDs. On Sunday, February 3,2019, in Sacramento, California, surrounded by family, Nana went to be with the Lord. She was preceded in death by her husband, Billy Ray, her mother, Doris, her father, Henry, her grandmother Willie Beal, her grandfather, Jefferson, her aunt Jessie Mae, her sister Emily Jean and her son Gary Joe. 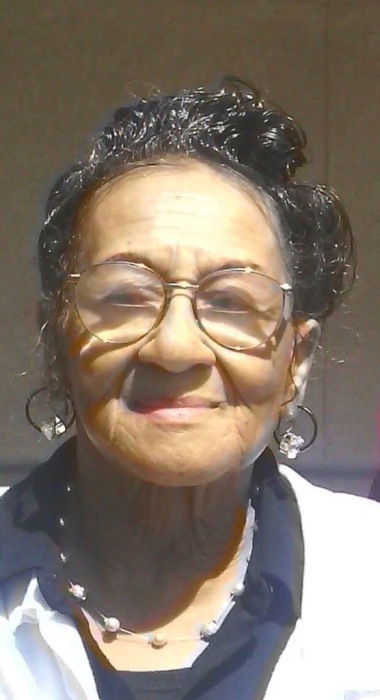 Remaining to cherish her memories and celebrate her life, Nana leaves her six children whom she adored, Gwen, B. Angela (Keith), Gidget (Ramiro), Debbie (Warren), Bill (lona), Ray; her son-in-law, Melvin, her brothers, Henry and Billy; grandchildren, Shamond, Cherese, Ma'nequa, Kashana, Marshaun, Kalana, Angelah, Ray, Andrew, Billy, Rykia, Candace, Jazmin, Lachefle, Christian, Deni, Jonna, loy; great-grandchildren, Alexus, Amari, ]ordan, Amir, ]ordyn, Elisha, Jada, Arnya, Jalen, Isreal, Solomon, Kamia, Jonah, Anastasia, Camila, Seth; great-great-grandchild, Royal; and a host of other friends.